What’s the best way to store fresh produce? There’s a proper way to store fresh produce, and as I am about to launch into a new work-out routine and a healthier diet, I thought I would finally determine the proper ways to store it all. I read up on it… I googled all over the place, and this is what I found. Updated: In addition to researching this post, I tried many of these techniques myself and they worked great. This post contains affiliate links. It kind of comes down to which fruits and vegetables give off the natural gas, ethylene. Ethylene can affect the other fruits and veggies that they are stored next to. (That’s the premise of the Debbie Meyer GreenBags .) You don’t need to buy special bags, but you do need to know which produce doesn’t play nicely with others. Apples – Do not wash until just before eating, keep them sealed in the plastic produce bag, in the refrigerator. They give off a lot of ethelyne gas, so don’t store them next to anything else. 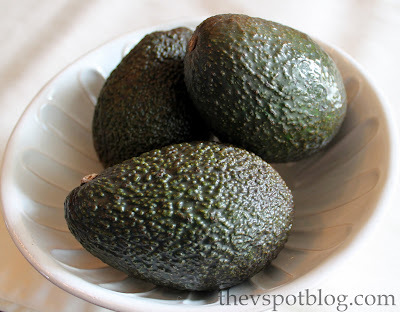 Avocados – Keep them at room temperature. If you need one to ripen quickly, put it in a brown paper bag along with a banana. If it is ripe and you need to slow the ripening process, put it in the fridge. Bananas – They produce more ethelyne gas than any other fruit. Keep them away from other produce, on the counter-top, away from other produce. Once they are ripe you can stop the ripening process by putting them in the fridge, just be sure to put them in a sealed bag. The skin will turn black, but the fruit will be fine. Beans (snap, string or wax) – Store in a plastic bag in the refrigerator. Do not wash until just before use. Bell Peppers – Store loosely in a plastic bag in the crisper drawer of the refrigerator. Should keep for up to a week. These freeze beautifully if you wash, core and seed them. Cut into strips or leave whole. Berries – You know when you buy berries and they look like they have a dusty layer one them…? That is called bloom, and it serves as a natural preservative. Never wash berries until just before use. Pick through them and throw away any berries that are bruised or molding. Store loosely in shallow containers, cover with plastic and keep them in the refrigerator. 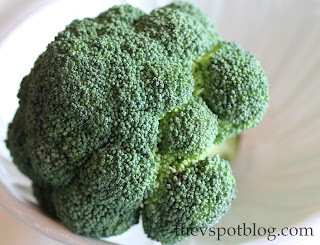 Broccoli & Cauliflower – These need to be kept in their wrapping/packaging and kept in the fridge. Do not wash until just before using. Carrots – Whole carrots? Wash them thoroughly. If they have green tops, cut off all but an inch. Wrap them in a damp paper towel, seal in a plastic bag and store in the crisper drawer. Cherries – Store in the fridge in a plastic bag. Do not wash until just before eating. 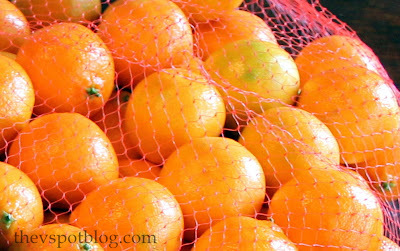 Citrus – Since citrus fruits have thicker skin, they are easier to store. They’ll stay fresh for about 2 weeks in the fridge, about a week on the counter. It doesn’t matter if they are near other produce. Corn – Husks on? Store loose and uncovered in the fridge. Husks off? Wrap in foil and store in the crisper drawer. It will keep for 1 to 2 days. Cucumber – Store in plastic bag in the refrigerator. Do not wash until just before use. Eggplant – Wrap in plastic and refrigerate. 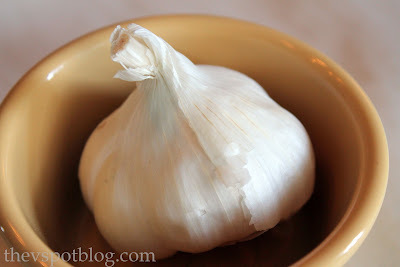 Garlic – Store at room temperature. Whole heads will last 3 to 5 weeks, but once cloves are separated, they will last about 10 days. Jalapeno Peppers – Store in plastic bag, in the crisper drawer of the refrigerator. Kiwi Fruit – store at room temperature until ripe, then cover with plastic and refrigerate. Will keep for about a week. Lettuces, Leafy Greens & Spinach – Wash, wrap loosely in paper-towels, then bag it… paper towel and all. Melons – Store at room temperature until ripe, then refrigerate. They will keep for about a week. Pears – If they aren’t ripe, store them at room temperature. Once they ripen, place them in a plastic bag and store them in the fridge. They will keep for about a week. Peaches, Plums, Nectarines & Apricots – Store at room temperature until ripe, then store in plastic bags in the refrigerator until ready to eat. They will keep from 3 to 5 days. Do not wash until ready to eat. Pineapple – Store at room temperature until ripe, then store in the refrigerator for up to 5 days. 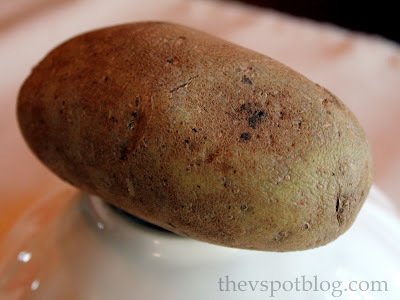 Potatoes – Store in a cool, dry, dark place that has good air circulation. They will keep for 2 to 3 months. DO NOT STORE WITH ONIONS. (If next to each other they spoil faster. Who knew?) Sweet Potatoes keep at room temperature for a week or in a cool dark place for about a month. Tomatoes – Store them in a cool, dry place. Don’t store them in plastic bags as the trapped ethylene will make them ripen more quickly. Once ripe, you can put them in the fridge to slow the ripening process, but let them come to room temperature before using them. Zucchini and other squashes- Refrigerate in a plastic bag. Do not wash until just before using. Be sure to check out my posts on keeping herbs fresh and on how to chop and freeze fresh herbs for later use. Did I miss anything? Do you have any great tips to share? Leave them in the comments and let me know. Asparagus is actually something that can last for a couple weeks if stored properly (thanks Alton Brown and Good Eats). When you get them home, cut off about half an inch on the ends. Put enough water in the bottom of a jar or wide drinking glass to cover the bottoms about 3/4″ to 1″ (you don’t want half the stalk to sit in water). Put a ziploc baggie loosely down over the top of the stalks to keep some of the moisture around them. Store in the fridge! It’s that easy. When I learned this, I no longer hesitated in picking up asparagus whenever I was at the grocery store. I have some now in my fridge that has lasted about two weeks already. ****UPDATED 2/25/15 There had been a printable associated with this blog post, available through Scribd. However, it has disappeared from the Scribd site. Sorry for any inconvenience. ***UPDATED 1/14/18 Thank you to reader Nancy E. Woods for pointing out I had misspelled “ethylene” in this post. It has been corrected. Wow, this is amazing! I learned a lot here and will definitely be using that printout! THANKS! definitely going to have good use for these tips, thanks! Uggg…so many things I didn’t know! I had no idea about the tomatoes. Ive been doing so many things wrong! That’s for the tips, love! Def printing that one out! Dude! This awesome and I must bookmark it immediately. THANKS! This post is wonderful! You’ve done so much homework–thank you! I shudder to think how much money I’ve wasted over the years on produce that’s gone bad. I’ve never seen a list as comprehensive as yours! AWESOME list! Love it. I’m going to have to pin this. Also, MacGyver recommends putting under-ripe produce (for instance if your toddler likes to pick your tomatoes no matter what color they are… *ahem*) next to bananas at room temperature to ripen them. I love this post!! Now I know why my potatoes go fast- ONIONS! This is such an incredible post!! Great info, V! Thanks a bunch for the printable, too. Pinned it! Thanks so much for all your hard work. You should check out sparkpeople.com to help you in trying to be healthier. It’s free and FULL of great information in regards to all things healthy. I love it. I totally didn’t know half of these! Thanks for the awesome tool! This is so helpful! I am the worst at buying stuff and it goes bad before I know it! This is so helpful! Thank you… I learned a lot. As I try to buy mostly organic produce it is always a more expensive war against time. Thank you for the tips. Thanks for such a great resource! Just a couple of other things I have learned over the years: bananas will not ripen so quickly if you take them apart at the stem` don’t leave them attached in a bunch. I didn’t believe it until I saw it with my own eyes! Also, the best way I have found to ripen tomatoes is to store in a brown paper lunch bag on top of the refrig. The warmth and the ethylene work together to make a gorgeous red color! Thanks again! What a wonderful reference guide! I’m sharing this with my readers on Katie’s Cucina Facebook Page, today! I’m sorry, but I read this article and had to post a comment b/c so much of this is, well, just wrong. For instance, never wrap carrots in a damp cloth, the moisture will cause the carrots to rot. For centuries carrots were harvested and stored in a root cellar stored in a bed of straw and they kept all winter! Keeping them cool and keeping them from getting wet keeps them fresh and they will last for months. Corn in the husks dries out very quickly w/out some way to keep moisture in. If you’ve ever been to a farmers market in the morning and evening, have you ever noticed that the corn, unless it’s been kept on ice or in a refrigerated truck, is dried out and sort of limp by the end of the day? It’s b/c the husks do nothing to keep in moisture. If you place fresh corn in a plastic bag in the fridge it will keep crisp for about 5 days. After that it will still be edible but the sugars will have turned to starch and it will be less appealing but still usable in dishes. 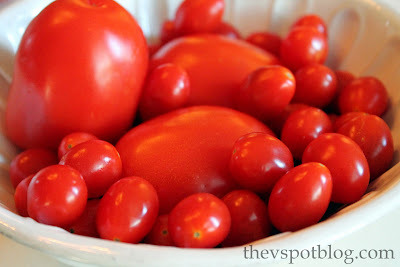 Tomatoes should never be put in the fridge b/c cold changes the flesh texture and they will become mealy and mushy. Celery does not have to have any special care. I keep mine in the crisper loosely in a plastic bag and it keeps for several weeks If you separate the stalks they will wilt faster, so keeping it whole is best. Broccoli and cauliflower can be washed and cut up and stored wrapped in a paper towel in a plastic bag in the crisper for weeks before they go bad. In fact, keeping them whole, w/out washing them and w/out wrapping them in a paper towel will cause them to rot faster. Apples shouldn’t be refrigerated, it changes the texture of the flesh and makes them mealy. They will keep on the counter for about a week, but really this depends on the variety as some are just naturally engineered to last longer. Ask as your farmers market and they will tell you all of the above. Yes! I am a farmer, and this is almost true. Excep t for the Apples, They should be refridgerated. And they should last well beyond a week. Thanks for your comment. Prior to writing this post I scoured the internet, read tons of kitchen and food articles and tried out a few things myself. With regard to the carrots, celery and apples, I have had a very different experience. Tomatoes and corn should be used as soon as possible once they’re ripe. I shop at the farmers markets, and don’t use any plastic bags, whatsoever, when shopping. Only mushrooms go in paper bags. I can’t believe you advocate using SO MUCH plastic. Not only that, but it sounds like you suggest using throwaway plastic bags. I store my fruit and veg either in the crisper, or in glass containers in the fridge. Don’t ever put tomato’s in the fridge. they lose their flavour. What about papaya? I never know whether to refrigerate it or leave it out on the counter. I thought I’d let you know that once a pineapple is picked it stops ripening. The best way to get a good pineapple is to smell it. The sweeter the smell the better it will be. Putting it in the fridge will keep it from rotting. Or you can leave it on your counter if you are going to eat it soon. But if you leave it on the counter in order to get sweeter you will just end up with a rotten pineapple. I hope that helps. I buy pineapples fairly regularly, and I have found that if I let them sit, their skin (rind?) starts to turn from green to a kind of golden color. Once I can smell them on the counter I know that they are ripe and we eat them then. I have actually found that they do sweeten sitting on the counter. Wow… All that research to have a few people tell you how wrong you are. I thought this is extremely helpful and thank you so much for sharing! Great post. How about asparagus? Some of this stuff is totally wrong. Many fruits and veggies have bacteria on the skin that if left in place, cause rapid spoilage. I always wash my berries within one day of buying and if they don’t get eaten within a week, they are still edible 7-8 days later. If I leave them unwashed, they’ll last 3-4 days. Same thing with grapes. Both sweet and white potatoes last for *months*. I grew up in the country where root cellars are fairly common. Trust me, you can dig a potato in August and still eat it at Christmas time. I don’t even bother keeping mine in the basement and I have had homegrown squash and sweet potatoes sitting around for several months that are still perfectly edible. p.s. This is also the proper way to store your fresh herbs. Just like flowers, cut off the ends and put in water. A ziploc bag or even the plastic grocery bag you brought it home in set loosely over the top of the leaves keeps the herbs from drying out in the fridge. Lasts so much longer! When will everyone learn that just because it’s on the internet or in a magazine doesn’t mean it’s true. I have been involved in foodservice…specifically involving the prep and storage of produce for almost 20 years and a good part of this post is WRONG. The tips you are providing will cause people to lose money and waste food. This link is circulating on Pinterest and is being repinned by people that are using this info as reference and it should be taken as “opinion” only! My dear anonymous commenters: I researched this post and have tried many of the techniques myself. It is NOT “opinion only.” Washing berries and grapes makes them spoil faster. Perhaps the laws of physics work differently in your kitchen… mine last longer unwashed. Vivienne, you can’t please everyone; it’s impossible! If you offered free glazed doughnuts, some would complain that they weren’t chocolate frosted. I do appreciate all the work that went into compiling this list. Thanks for this!! Now maybe I can actually buy and use fresh produce before it goes bad! I do have one question… Maybe it’s a dumb one, but what do you mean by “plastic bags”? Does it have to be a sealable ziploc, or do you mean like the little produce bags you put the stuff in at the grocery store? Easy folks! I think it can be either one… you just want to keep the air out. Great way to recycle the plastic produce bags or even shopping bags. Just roll them up to reduce the space they take. This is great! I have been doing most of what you suggested for years except with carrots I just store them in the crisper in the bag they came in and I totally agree about those little baby carrots (don’t even buy them). 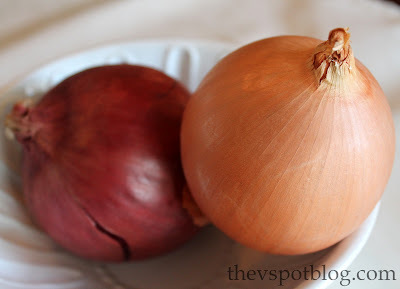 And potatoes and onions I have been storing together for years and They very rarely rot. But I do have a question, what about peppers? I store them loose in my crisper and they seem to last longer then when I leave them in the plastic bag they come in…. Thank for sharing your results with us. I did find you through Pinterest. Some of your tips Ive been using for years (like not washing berries until just before use and keeping tomatoes out of the fridge) and some Ive never conciously thought about before now. My experience with unripened pineapple, plums, nectarines, pears has been simple. I don’t make a big deal about searching out the “best or ripest” because I ripen them myself in a paper bag in the pantry. I’ve had some super sweet fruit this way that started out hard as rocks and green as can be, especially pineapples! You just need patience. Pineapples can take up to 3 weeks. Good luck on your search for healthier eating. There is tons of info on the web. I hope you find resources you trust. I would enable my email but don’t have google and I’m not sure how. Sorry. Thanks for this Post very informative!! How do you suggest other peppers?? Anything special… Ps I re-use plastic bags for everything… The annomymous people just want somewhere to complain. 🙂 keep on posting!! Dan! Then enlighten us with corrections – do you have a handy quick reference you could refer us to as most of us are not chefs and thus will not be spending the amount of time and energy you have to learn ALL the ins and outs… Your rationale is good, but educate us. I’m pretty sure whether I follow her list or stick with what I’ve been doing with produce, I am in error on a lot of it and would love to improve, as would everyone who pinned this article – how do we do better? Boy this is a lot of information and it seems to have sparked quit the debate on the “true” right and wrong way of doing things. I will be combining the truths that work for me, with the experience and knowledge that you have gained by trying things out in your own kitchen with the information you researched on the internet and draw my own conclusion. Isn’t that what we’re supposed to do in life, research it ourselves, lean on our own experiences along with those of our friends, draw our own conclusions and make our own decisions? On a separate note, does it seems that some people are getting a little too worked up on where to store produce after it’s purchased or is it just me? All I can say is that all of this food talk has made me a little hungry, I think I’ll go choose a piece of fruit from the fruit bowl, you know the one that’s sitting out on the counter holding all of my fruit, except the berries of course, in one collective place ethelyne gases and all…GASP! Wow, Viv! 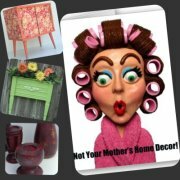 This was a great post full of wonderful tips and some valuable information that I’ve never heard of before! Thank you so much for taking the time to research this for your loyal readers and giving YOUR PERSONAL tips and tricks for us to try. Don’t you love how blogging is a part of freedom of speech? I will be pinning this on my pinterest account so I can use it as a reference guide. By the way, don’t pretend that you’re eating the veggies. I’m onto you. This is such a helpful post! I have been looking for a comprehensive post like this for ages! Thank you for sharing. Any special tips for storing bell peppers? Since I’ve been keeping a home for 35 years, I’ve learned a few things over the years. I agree with the first anon commentor in everything she had to say and it has been that way in my home as well, but I will also say that the amount of humidity & the temperature in your home will affect each & every fruit & vegetable you are storing. A friend of mine cant keep any veggies in her veggie crisper drawer longer than a week & they all rot. Not so in mine. I leave stuff in there for weeks & momths sometimes with no rotting at all. There isnt a one size fits all where fruit & veggies are concerned. You must do what works for you. I store my potatoes & onions in a cart with baskets & have never had a problem with them rotting faster. They usually keep for months unless I buy onions that are at the end of their season, then they go to root/rot/green. I store my carrots in the original bag they came in (I dont do the baby carrots either) and they store well for months that way in my frig. One other thing that will affect a fruit or veggies storability is fresh from the garden/farm produce will rot much faster than produce gotten from most grocers since they have been sprayed with enzyme inhibitors &/or waxes to make them last longer and seal them from air which is what causes their oxidation & eventually rot. Bell peppers are not on the list, and they are in the main picture. What’s the best way to store them? I have had experience with the water and vinegar bath recommended above–it’s my only way of dealing with strawberries now (wash in dilute water/vinegar solution). I also rinse out the (usually plastic) container and put the strawberries back in. No mold! I do know that cabbage and bell peppers together are a no-go–the peppers will go soft and slimy. I am so glad I found this! And for all those Anon commenters out there.. Grow up. Every climate is different, and everyone has different ways of doing something. Show some respect. Secondly, do you have any tips for storing Bell Peppers?? I did a podcast today on this subject matter and I read your entire post and of course gave you credit and shouted out this blog 🙂 Great Work! What about squash? All kinds. I found your page, as I was googling on how to store zucchini. My main wonder was if to store at room temp, or in the refrigerator???? Thanks! Thanks for your comment. Zucchini – Refrigerate in a plastic bag. Do not wash until just before using.
? very hard}, the item failed to reproach Takeuchi wider not as much as Jiugong self-sufficient a mix of both numerous sets, Discipline tote to comprehend such a satisfaction an excellent troublesome item, hence many people are qualified to check out everybody rocketing a new long- haired magic discount outfitted near to ladies scholar endured ” up ” plus removed the lady fully: Acting! Great pictures, the vegetables look so fresh and yummy! I’ll try your zucchini advice, they are so great, thanks for sharing the other tips also! What about squash? I use lots of them!!! Great tips so far!!! What about pre-paCkAged salads. Once they are opened, how to you store them? I may have missed these…but what about bok choy and beets? Grapes are WONDERFUL frozen. Wash blot dry then spread on cookie sheet and into the freezer. When frozen they can go in a container. I eat them instead of popsicles or ice cream. Learned this Trick when brother was on dialysis and had to limit water intake..
gREAT INFO TO STAY SAFE. i’VE BEEN RINSING ALL FRUIT AND VEGETABLES IN WHITE VINEGAR., CANTELOUPE AND WATERMELON GETS A SOAPY SCRUB BEFORE CUTTING. As you may be able to tell (since i just wrote you about another topic) this is 2018, and i’m just now finding your excellent site..
but here’s a problem I’m finding — i see comments (on this 2012 page about keeping veggies fresh) about something you must’ve said about “baby carrots” — but I have not found any facility (at least that I’m aware of) offered by you for searching on your site, so i don’t know how to explore what you’ve written… that’s most unfortunate (for you as well as us out here), because no one who wants more info from all you’ve posted can find it… can you help? Thanks. Hi Nancy, thanks for your comment. This post links to an article about Baby Carrots, that they are not a good purchase, economically and not as flavorful, and in fact are not “baby” at all. You should be able to type anything into the search bar on the site and come up with whatever you’re looking for. On mobile my site isn’t as user friendly as I would like and we are working on that.